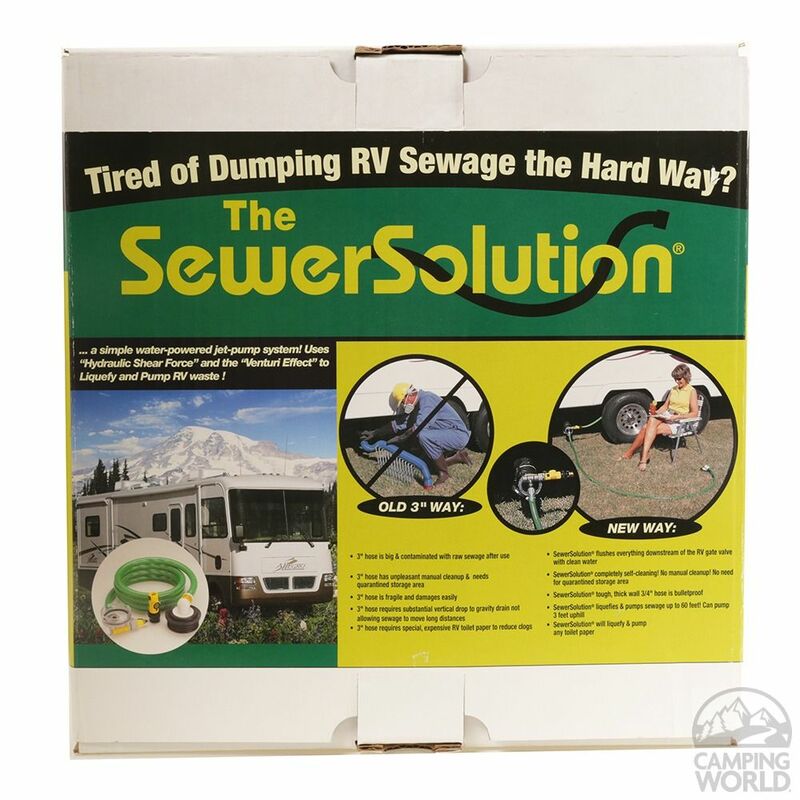 The Sewer Solution can make dumping your RV tanks easier and cleaner. 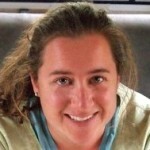 Learn the pros and cons of this revolutionary product. Welcome to the dark side of RVing. You may think it’s all about campfires and visiting majestic locations, but the dark side is lurking beneath it all. Beneath your RV that is. Yup, we’re talking about the holding tanks. For most first time RV owners the task of dumping the tanks is nothing short of intimating and unpleasant. After living in a traditional house where you ‘flush it and forget it’, the thought of carrying around your own waste, not to mention disposing of it yourself, seems scary…and frankly kind of gross. Fortunately, there is a way to make this unpleasant task a bit more bearable. 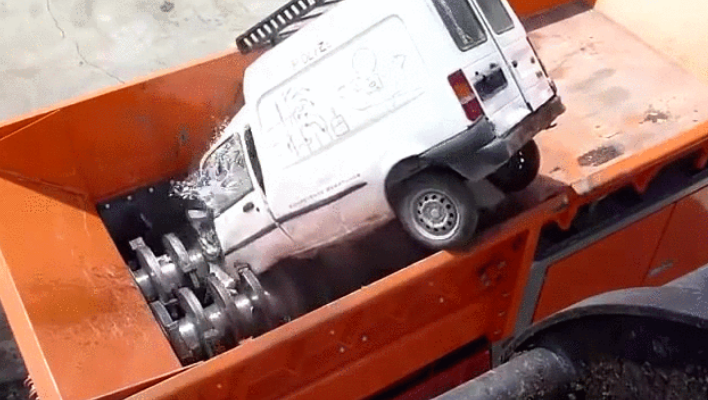 The Sewer Solution might just be the answer to all your tank dumping fears. Three years ago when my husband and I set off on our full-time RVing adventure we came across this product while researching sewer hoses. It sounded like a great product so we bought it. We’ve been happily using the Sewer Solution for the past three years. Well, as happily as you can use any product that transfers human waste from a box under your home to a hole in the ground. The Sewer Solution has been good to us. And I think it could be could for you too. I’ve put together a comprehensive review that lays out all the things we like and don’t like about it. It’s all there…the good, the bad, and the stinky. What is the Sewer Solution? The Sewer Solution is a slim, straight sided sewer hose that works in conjunction with a high-velocity water jet to liquify waste and tissue as it moves down the hose. The basic procedure is similar to a traditional 3-inch wide sewer hose. Begin by twisting the end of the Sewer Solution onto your RV dump pipe and placing the rubber seal end over the dump station opening. Next, hook a standard water hose to the valve on the side of the Sewer Solution and connect the other end to a nearby water pipe. Turn on the water, open the valve and watch the magic happen. With no interior ridges for waste to get stuck on, the Sewer Solution in undoubtedly cleaner than a traditional 3-inch ribbed sewer hose. The constant water flow also helps keep the hose clean. Not all dump stations are created equal. Some have large concrete lips around the edges that the sewer hose must jump up and over to reach. 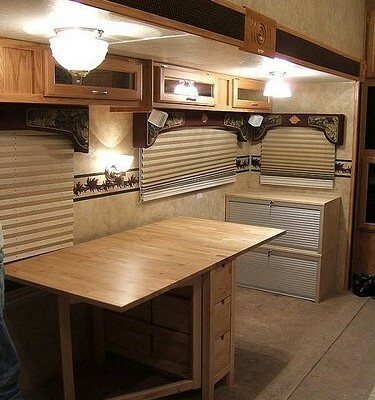 For taller RVs, this might not be an issue. But for our low profile Airstream with a sewer valve in a lower position than most RVs, we often find ourselves in situations where the hose needs to travel uphill to reach the dump station. And as we all know, sewer, like water, does not flow uphill. For weekenders who prefer to clean out their tanks at home, the Sewer Solution is an excellent product. Some people buy a few lengths of extension hose, while others extend it with PVC pipe. Again, since it can pump uphill the Sewer Solution is easy to use in a variety of situations. 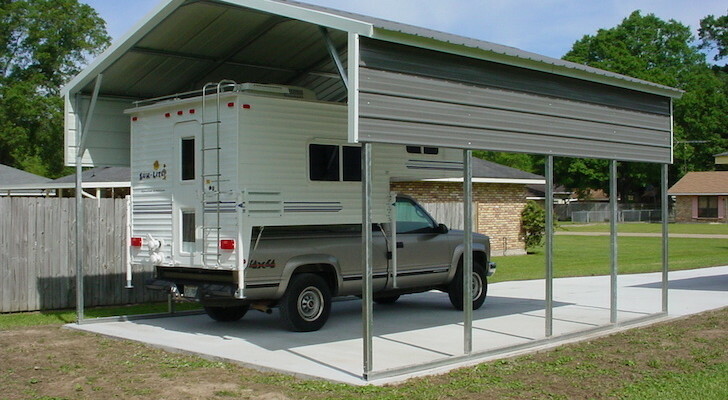 This is also the perfect solution for RVers who are parked in a friend or neighbor’s yard where the sewer outlet is far away. The slim profile of the Sewer Solution makes it a breeze to store. 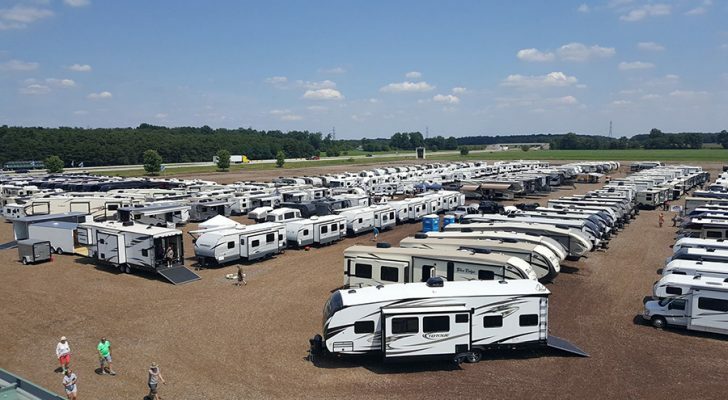 For owners of smaller RVs, this is critical. We have an Airstream trailer with two small outside storage compartments. The Sewer Solution coils up into a tight ball that easily fits inside a small plastic box. We’ve used our Sewer Solution for the past three years. That’s three years of full-time RVing with countless trips to the dump station. Through it all we’ve never experienced a single leak, crack, or malfunction. The Sewer Solution has a backflush feature. Simply flip the lever and the water flows back up into the tanks. Keep in mind that this is not the same as the back flush option most newer RVs are equipped with, but it does allow you to spray water back into the tank for basic cleaning purposes. We happen to have an older RV with no back flush option, and this is an easy way for us to get water in there for extra cleaning. The biggest downside to the Sewer Solution is that it’s slow. 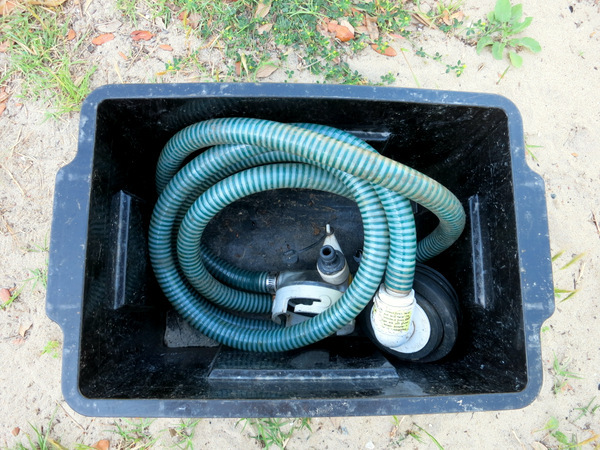 The smaller diameter hose means that it takes longer for the waste to travel from the tank to the sewer outlet. Most days this is not a huge issue, but occasionally we have found ourselves slowing up the Sunday morning dump station line up at a popular state or national park. Ninety-nine percent of dump stations have a water spigot nearby, but for that other one percent, the Sewer Solution is virtually unusable. The required water hook-up is also a problem when you find yourself at a dump station where the water spigot is lacking a threaded end. This occurs most often in national and state parks, or in an area where water needs to be conserved. The Sewer Solution does not come with a water hose. You must purchase one yourself. Not a big deal since all you need is a simple garden hose. But it is one more thing to carry around with you. We simplified this requirement by buying a few small lengths of washing machine hose and outfitting each with quick connect ends. When we are at a dump station that only requires a few feet of hose, we can easily pull out a short section. And if we need more we simply hook two together. 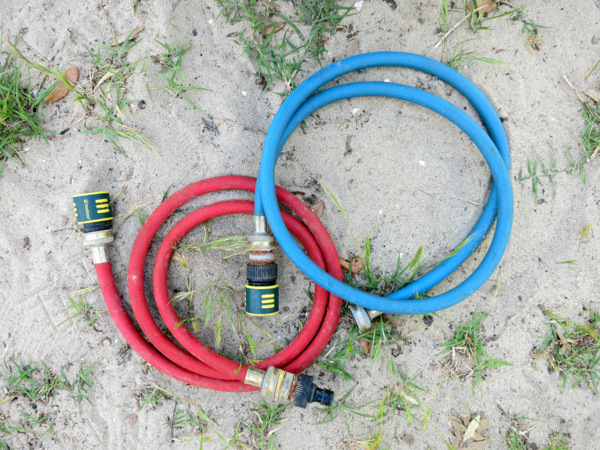 The soft, flexible hose coils up easily for storage. The rubber seal on the end of the Sewer Solution appears to be a bit different in size than some dump station outlets. Occasionally it doesn’t fit well enough to make a tight seal. For a quick stop at the dump station this isn’t a huge problem, but for a month-long stay at an RV park, you really want a tight seal. The Sewer Solution is a well-made sewer hose that helps turn an unpleasant task into an easy, clean process. 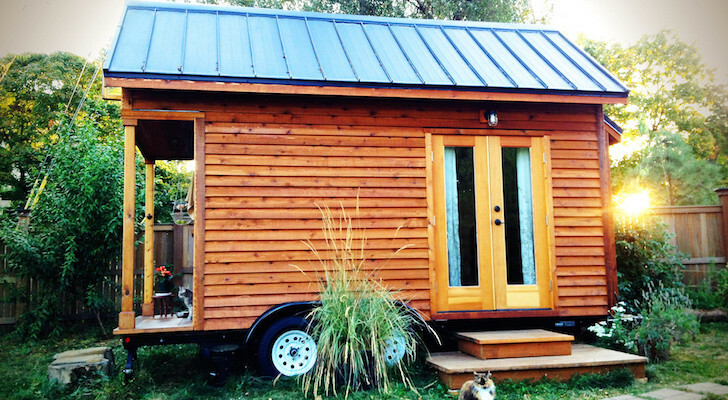 How useful it will be really depends on your style of RVing. 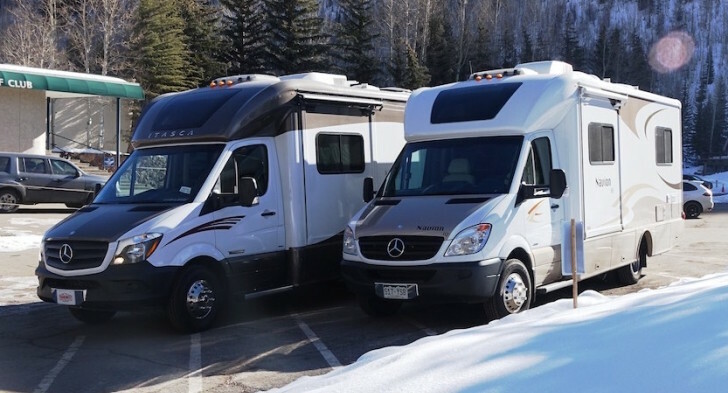 If you tend to stay in one place for long periods of time and keep your RV hooked up to a sewer outlet, the Sewer Solution is probably not for you. 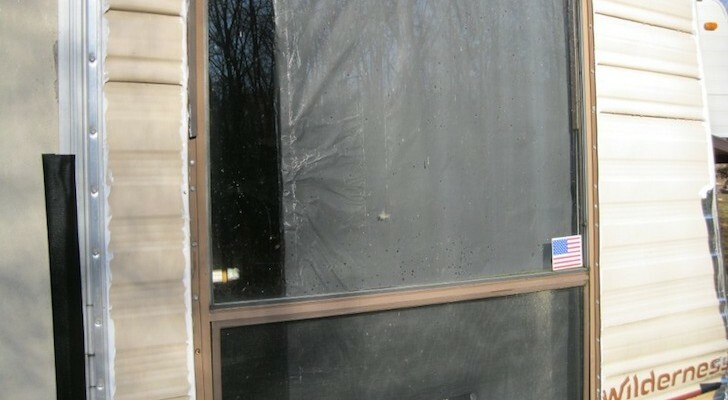 However, if you are a weekend warrior who dumps the tanks before leaving the RV park and wants to clean them out at home, the Sewer Solution is probably the perfect solution. Likewise, if you park your RV on private property and need to pump the sewer long distances, the Sewer Solution would be a great choice. 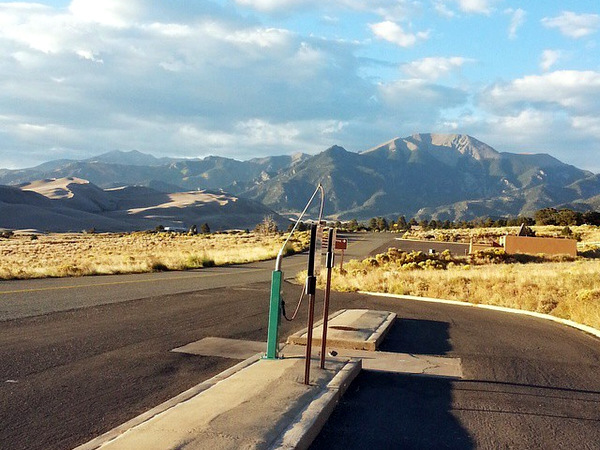 Our style of RVing involves primarily dry camping and boondocking, with a few full hook-up RV parks mixed in. With the exception of those times when a water hook-up is not available, or not usable, we like the Sewer Solution. For those instances, we recently purchased a short expandable sewer hose. But the Sewer Solution will continue to be our primary sewer hose. In short, the Sewer Solution is a great product that serves our needs and performs as advertised.